I don't know why no one thought of it before. 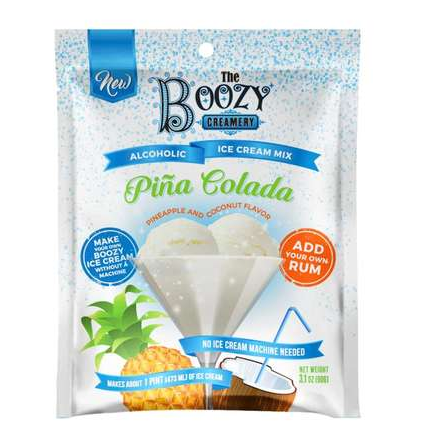 Ice cream made for adults, with alcohol. Sounds good right? Well, let me tell you, it's DELICIOUS. We whipped up a batch for a girls night, and it was so good, it had all my friends asking where they could get more. Boozy Creamery is so easy to make. Take the pouch/flavor of your choice, blend with the listed water or milk, and add the alcohol. Freeze for a few hours, and there you go, you have your own alcohilic ice cream, no ice cream maker required! If you are not sure which one you would like to try first, you can buy a sampler pack! 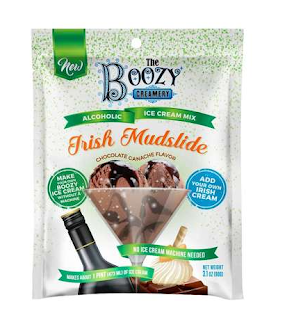 The Boozy Creamery provides a revolutionary new way to make alcoholic ice cream at home, no ice cream machine required! Just add a chilled liquid (water or milk) and alcohol. Then whisk for 5 minutes, freeze and enjoy. It’s the perfect adult treat for any day or occasion. You can purchase a single pack, a sampler pack or a 6 pack of 1 flavor here. Be sure to check out the other products for The Curious Creamery, they all look great!